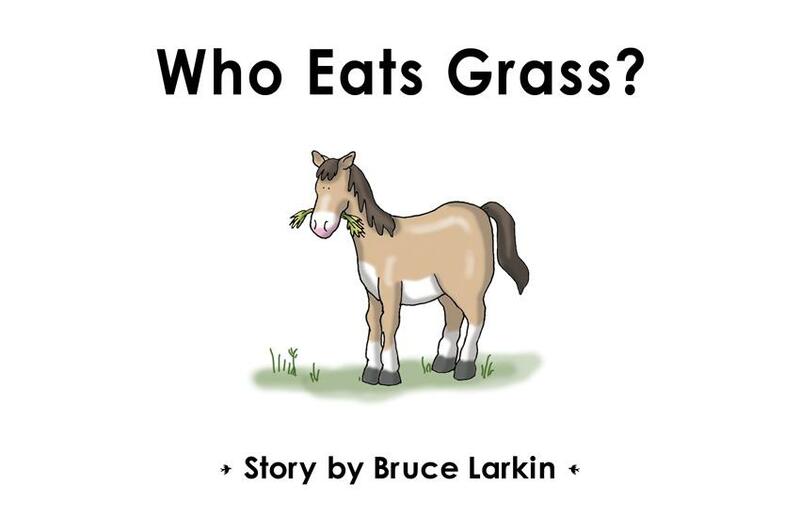 "Who Eats Grass?" 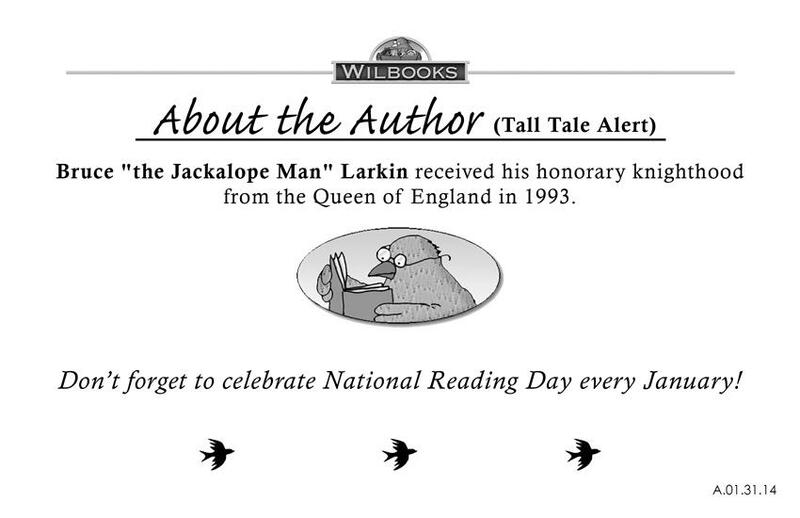 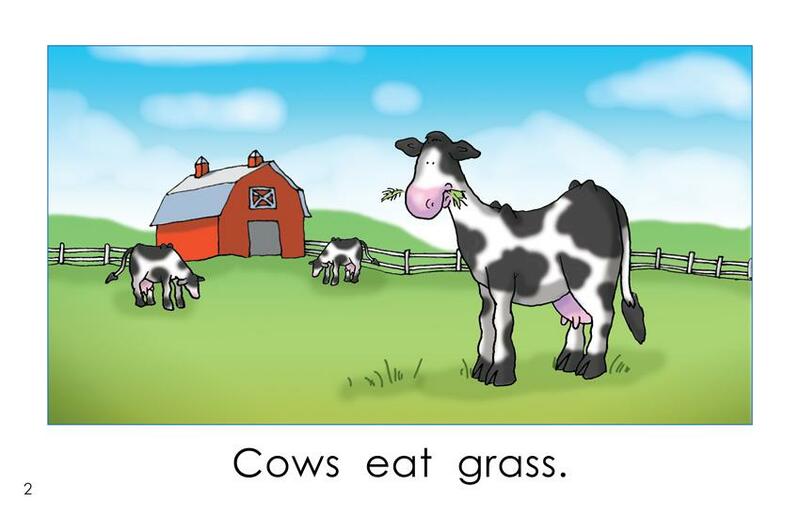 is an 8-page informational book for kindergarten readers. 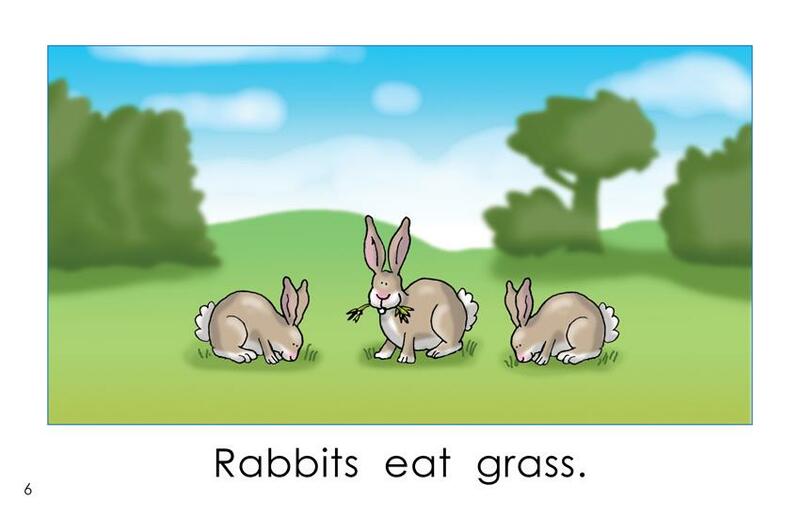 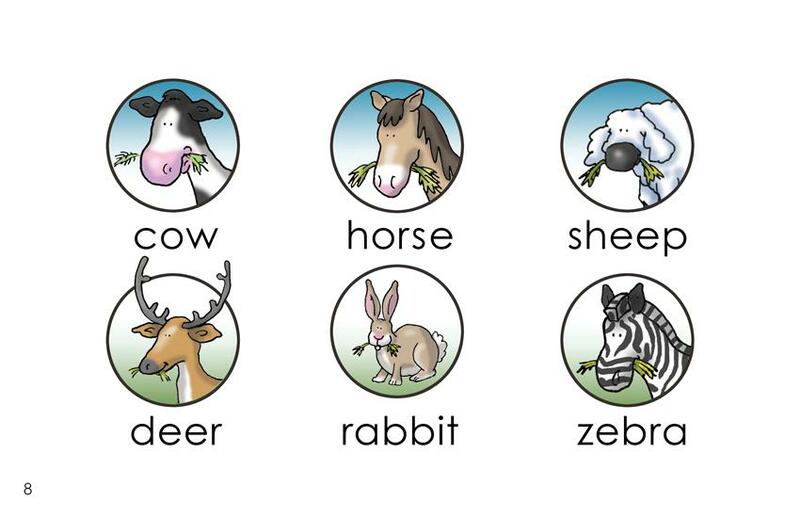 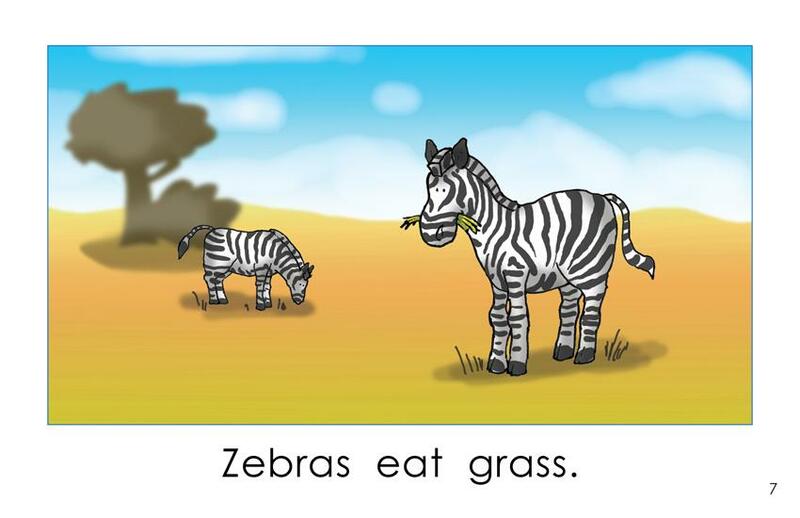 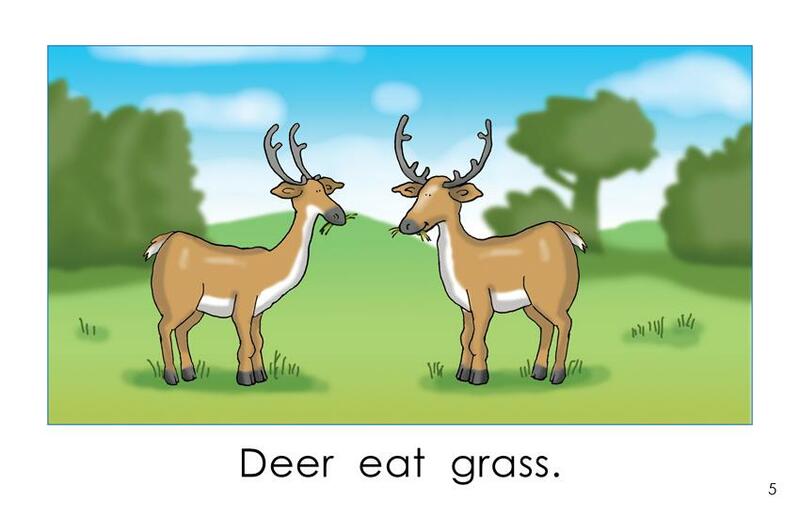 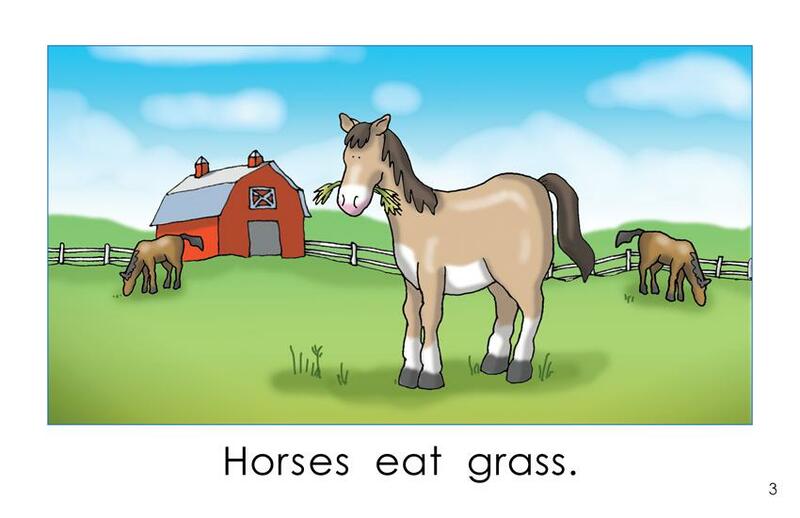 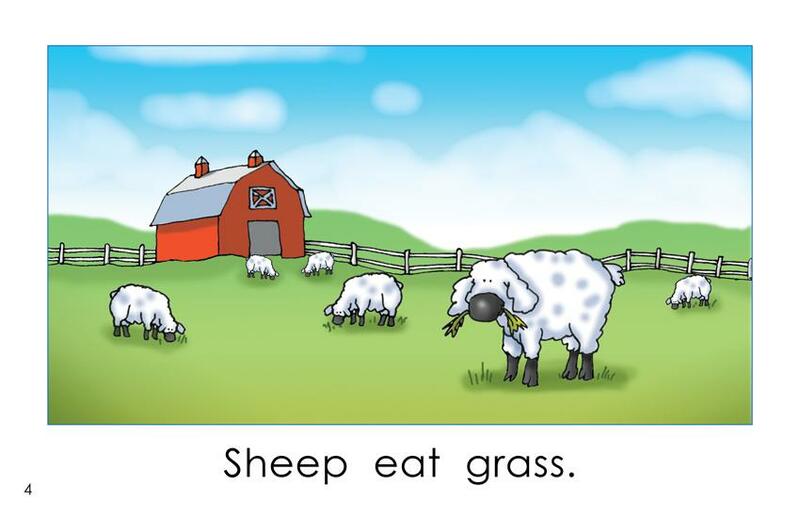 Each page features an illustration of animals that eat grass, along with a short descriptive sentence in large, easy-to-read type. 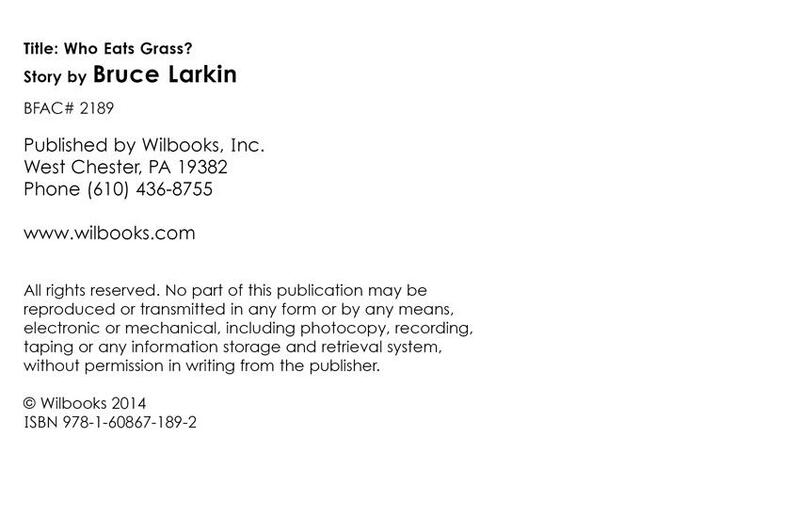 Page 8 is a review of the book. 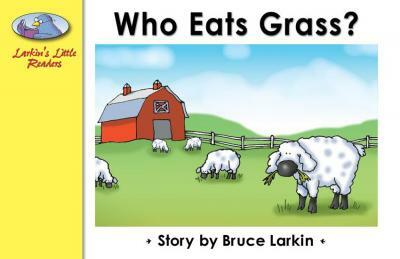 This book is part of our Common Core Foundational and Language collections. 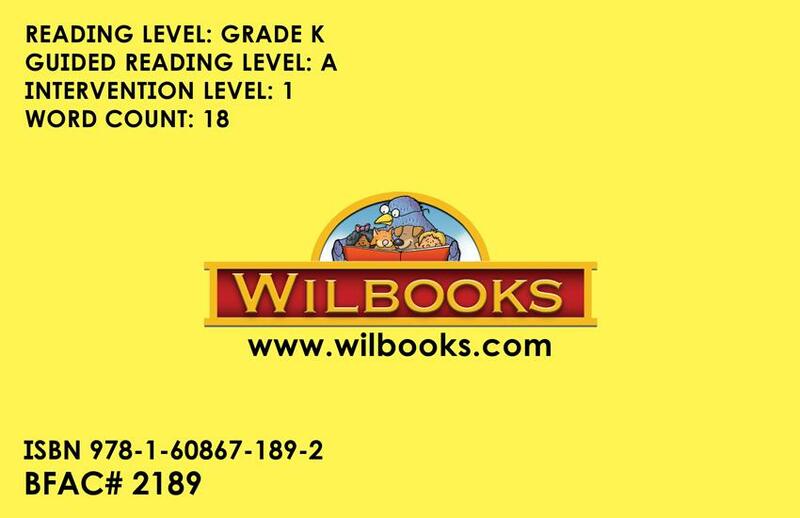 The reading level is K.